Lightweight, comfortable. Detachable white cover for easy cleaning. Crack resistant, black leather visor. Comes with removable black rope chin strap. Gold side screws. Meets Yacht Club and USPS regulations. Add cost of insignia. 6-7/8 in.7 in.7-1/8 in.7-1/4 in.7-3/8 in.7-1/2 in.7-5/8 in.7-3/4 in. 6-3/4 in.6-7/8 in.7 in.7-1/8 in.7-1/4 in.7-3/8 in.7-1/2 in.7-5/8 in.7-3/4 in. Men’s Black Cap w/Srambled Egg Visor. 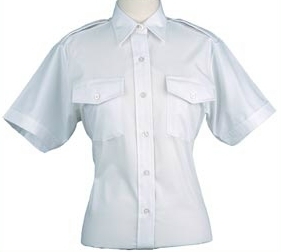 Made by Van Heusen® of Poly/Cotton with epaulette straps. Two patch pockets. Solid brass buckle with enameled Past Commodore officer’s flag. Use on any color web belt. Solid Brass Buckle with large Pewter Anchor. Use on any color web belt. One size fits all up to size 50. Code flags in actual color on cotton webbing. One size fits all up to size 50.